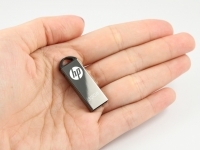 PNY Technologies announced the new Micro sized HP v221w USB Flash Drive. The HP v221w comes in a special high quality alloy casing with a mirror finish, providing a shiny, bright and hip appearance. The design of this drive protects it against scratches, dust and is even water resistant, making it ideal for long term use. PNY Technologies, world renowned manufacturing giant for USB and Memory products, has officially released the compact HP v215b. The mini-sized drive comes with a vast array of functional features, which makes it a coveted item that is practical yet stylish. 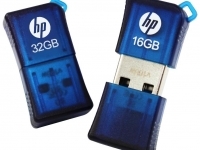 PNY Technologies, world renowned manufacturing giant for USB and Memory products, has officially released the special & limited edition of 128GB in HP v220w. It offers an easy and extremely convenient way to transfer share and store. 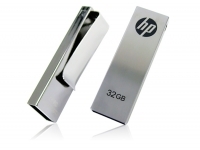 The HP v220w offer intelligent storage in the sleek metallic with classic silver colour. 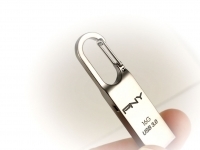 PNY Technologies, world renowned manufacturing giant for USB and Memory products, has officially released the stylish and affordable HP v210w USB flash drive. Whether you are student, a traveller or a business man, the HP v210w is your best companion for any outdoor ventures. 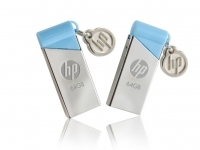 The special edition drive features a generous storage capacity of 128GB, so you can comfortably share and transfer your favourite music, movies or office documents on this HP USB flash drive. 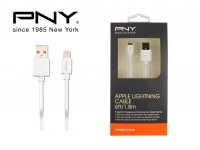 PNY Technologies® Inc. (“PNY”) has officially announced the DUO-Link M for the lightning equipped iOS devices. 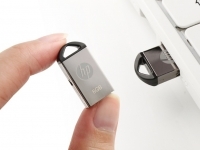 With the DUO-Link, one can transfer digital files at one’s own comfort without connecting with computer and i-tune. Simply plug the DUO-Link M to iPhone, ipad, Mac or PC and enjoy quickly, easy transfer of files, to expand your device’s storage capacity. With the DUO-Link M, one can also directly access data on an external storage device and play movies or music without a network and without having to store them on your device. Loop Turbo 3.0, the innovative design by PNY Technologies Asia Pacific Limited, is awarded with the best product of 2015 National Brand YuShan Award. The PNY Loop Turbo 3.0 Attaché makes the perfect accessories that compliment users’ personal taste. PNY Technologies has officially announced the debut of their new multi-purpose 6ft Apple Lightning charge and sync cable. Now you can charge all your iPod devices without worrying about knots and tangles with the convenient 6ft long cable. 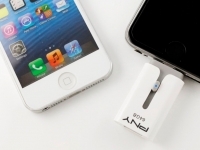 It can easily connect and charge your iPhone, iPad or iPod devices’ battery life or sync with your ITunes media library.